That looked like an incredible experience! <3 all this Shannon so happy to see your blog and so glad I met you in my Travels! I'll be reading your blogs more often and can't wait to see all your future adventures. I want to go to Africa a little later on my world adventure.. but it kind of scares me to travel there alone, as a woman. Do you have any tips for that? I found that a lot of the locals looked out for me in Africa, and I am very glad that I decided to face my own fears about traveling there. That being said, I think it’s a good idea to go later in your trip, after you have some travel wits and experiences behind you that can help you quickly suss out different situations. It’s a gorgeous country and a lot to enjoy there, but you are right in that it’s a bit more dangerous (not just for women, just in general). Pick some spots that interest you in the country and head there first, with some travel confidence you can definitely handle it. Well, I was born in Africa, and it is without doubt the safest continent in the world for travellers. Locals invariably are extremely caring, will bring you into their homes, share with you all they can, because that is African culture, Ubuntu. Just in a small country like NZ with its tiny populaTION OF A COUPLE OF MILLION, MORE FOREIGNERS DIE EACH YEAR THAN IN ALL OF THE MASSIVE AFRICAN CONTINENT TOGETHER!! Other so called Western countries are not much better safety wise. Personally I would NEVER set foot in the USA, simply too dangerous to make it worthwhile, with its gung-ho, gun happy cops and all! What a great post! I picked this up through Continental Driftings, where I am a contributing writer. What’s so amazing is that you were at Matibabu! I was there about five years ago and know Dan Ogola. He is truly an amazing man. How cool that the world is so small! I want to be in your place during all those trips, it seems very wonderful there. Thank you Angelina, Africa was a beautiful trip, I hope you make it there some day soon! I stayed at Maji Moto camp just three weeks ago during my trip through Kenya and Tanzania. one of the highlights of my trip. 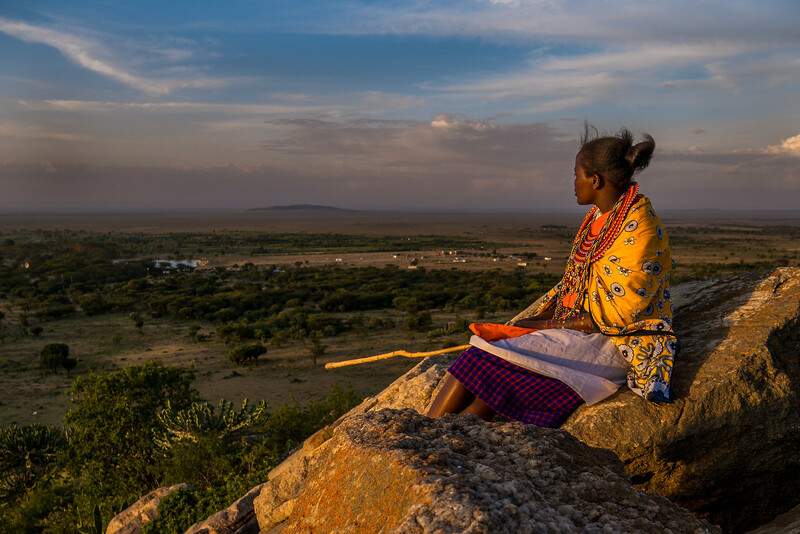 I think Africa is a good place to visit.The masai culture is famous and is considered good. Getting to the grassroots while travelling is absolutely essential to me for understanding a place, its history, people and culture. Love what you do and will come back for more stories. So glad the piece resonated with you. I love sharing the other side of travel so people see elements they can add to their trip that may make it more enriching. Thanks for reading! What an experience. Great pictures and story to go with it! I would really love to visit Africa one day! Hey, I just found out about your site via Ragnar’s blog (Tangible Freedom). This is a cool thing you’re doing! And I like the book you recommend. Keep up the good work and have fun! Your photos are stunning! What an increadible experience! I also grew up on a steady diet of National Geographic and after reading The White Masai (cliche I know) I’ve been hooked. Amazing photos and I look forward to reading more. Perhaps this medical mission you speak of is something I can volunteer for in the future. I wrote you a few weeks ago about just such an oppurtunity. Thanks for your response by the way. I’ll look for it on GV when you put it up. No rush. Also, a strange question I’m sure, but seeing as you’re fair-skinned also, do you find it difficult to source suncreens and such to avoid burning or do you bring all you need with you? I’ve had this problem in India when I purchased what was likely “fake” suncreen manufacured in India. It was tragic. That’s a tough one — I usually try to bring a big bottle of it (I like the Neutrogena stuff) but if I have to restock in Asia I usually go with children’s sunblock because it often doesn’t have the whitening ingredients and I just perceive it as better/stronger/fewer chemicals? I don’t know if that is silly or not, but it hasn’t failed me yet. Thank you for sharing your wonderful travels. I lived in Nairobi, Hurlingham area for about six months several years ago. There was a woman, Cheri and her husband, (forgot last name), also from Florida who ran a small school for street children. I was a volunteer with them while I was there. They adopted Rwandan children and later opened an orphanage in response to the Hutu/Tutsi genocide. All I know is that this orphanage is located in either the Kibera slum or one nearby. I hope you will be able to find and meet up with these wonderful people if they are still there. -Some of their orphans would be adults now and may be working there. It sounds like the Maji Moto Cultural Camp was a real eye-opener. 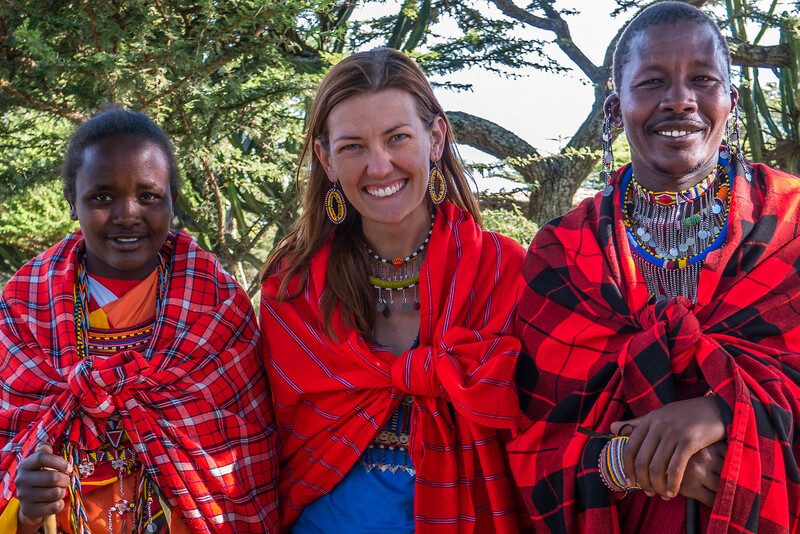 I would love to go there and learn more about the Masai and their initiatives. Great dispatch! I am thoroughly enjoying your dispatches, and I’m wondering how to make a living traveling!